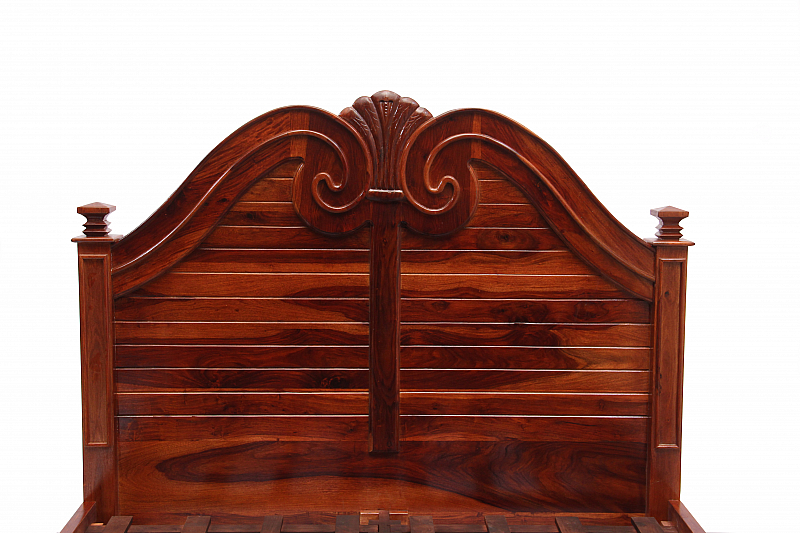 This designer bed has patterns inspired by British flora and fauna forms, a depiction of the British countryside. 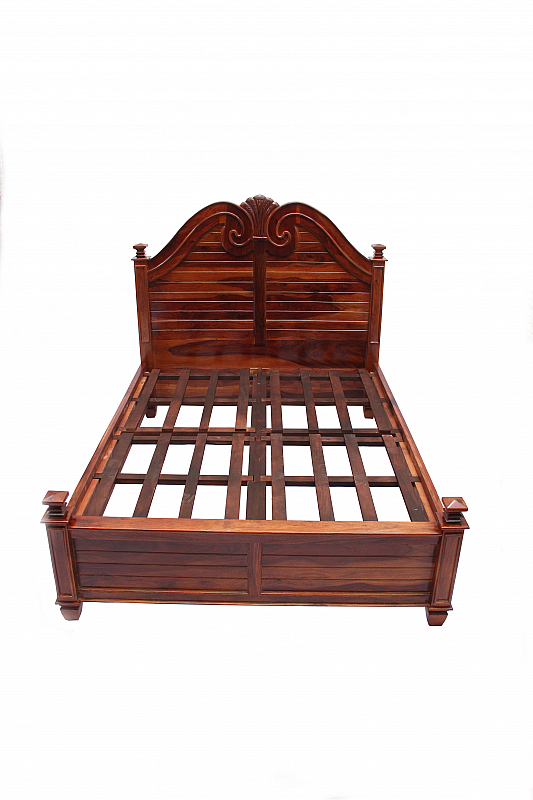 The entire structure made of solid Sheesham wood makes it sturdy in nature, and the flower motif carved headboard, gives a soft touch to the beds otherwise Gorgeous appearance. 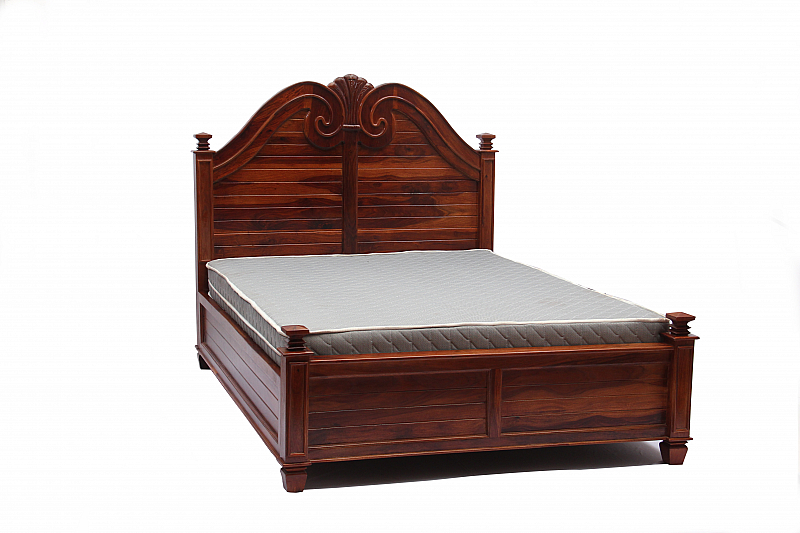 The heightened headboard gives the exquisite look and the low leg board makes it convenient to tuck in the bedsheets. 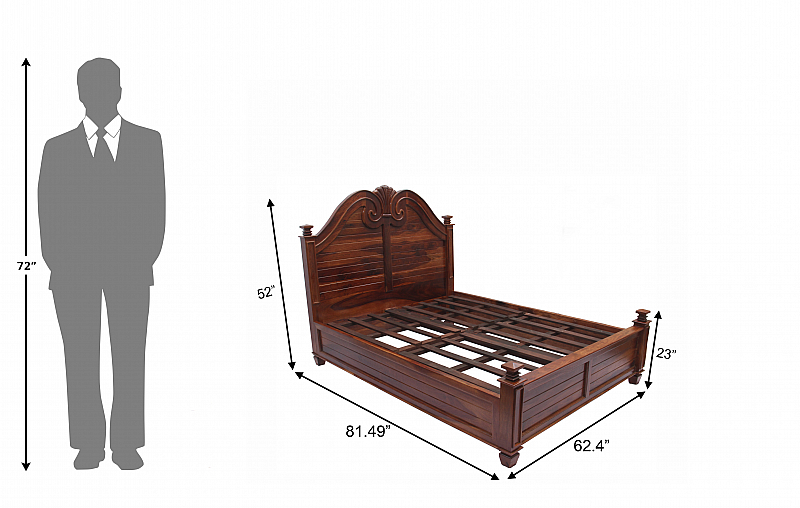 As a complete ensemble, this bed gives your bedroom an airy feel. 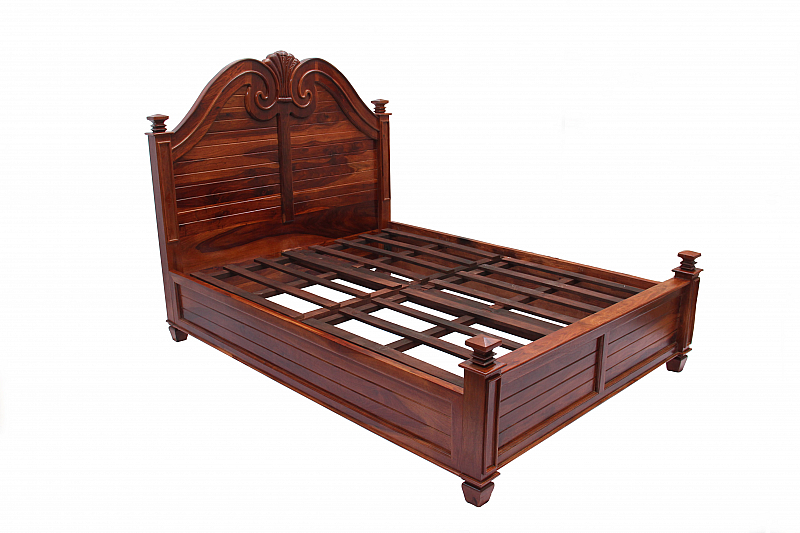 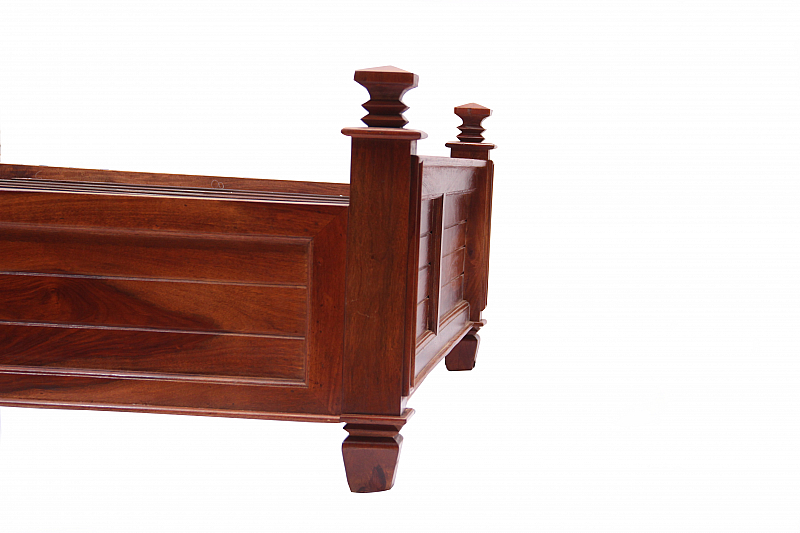 This design introduced in 2013 is antique replica design of Victorian era Be a proud owner of this English styled bed.